DAUM Commercial Real Estate Services announced today that it represented both parties in the sale of a 5,431 square foot industrial condo in Ontario, CA. The property is located at 800 S. Rochester Avenue, Unit B and is part of the Ontario Gateway Business Center. 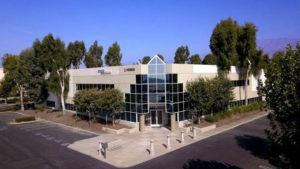 The building offers approximately 3,537 sq. ft. of office space, 17’ clearance, 400 amps of power and one grade level loading door. The total consideration of the sale was $1,140,000 ($210 PSF), a new high-water mark for the business park. David Gores and Noah Samarin of DAUM’s Ontario office represented both the buyer, TMG Holdings LLC, and the seller, Sunlux Energy, in the transaction. Mr. Gores and Mr. Samarin also represented Sunlux Energy in the leasing of approximately 26,506 square feet of industrial space in Rancho Cucamonga, CA. The building was completed in 1987, and offers approximately 11,828 square feet of office space, 22’ clearance and sits on approximately 2.73 acres of land. The property is located at 10860 6th Street, with the total consideration of the lease near $1.5 million. The building will serve as the growing company’s new headquarters. DAUM Commercial Real Estate Services provides a full array of commercial real estate services including brokerage, consulting, leasing, sales, corporate services and asset, construction, project and property management. Founded in 1904, DAUM is California’s most experienced commercial real estate brokerage company. DAUM has 10 offices throughout Southern California and Arizona. More information is available at www.daumcommercial.com. DAUM Commercial Real Estate Services is a member of ONCOR International, a premier global commercial real estate network. ONCOR International LLC, a subsidiary of Realogy Corporation, oversees the ONCOR International member network.